Even as Madhya Pradesh last week received the Krishi Karman Award from the prime minister for registering double-digit agricultural growth for five consecutive years, the state's record in farmer suicides makes for disturbing reading. While there has been a drop of 10 per cent in farmer suicides countrywide, Madhya Pradesh saw a jump of 21 per cent since 2013, according to figures of the National Crime Records Bureau. Madhya Pradesh ranks third in terms of farmer suicides in the country based on data for 2016. In all, 6,071 farmer suicides have been reported between 2011 and 2016 in MP. Madhya Pradesh registered the highest number of farmer suicides in 2016—1,321 cases—compared with 1,290 cases in 2015. 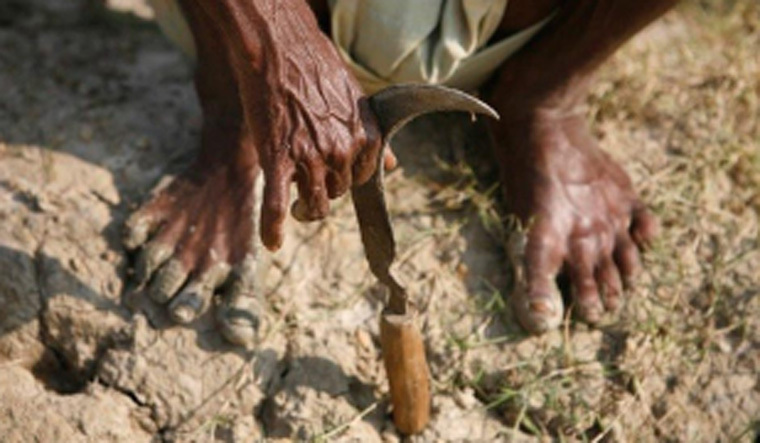 The provisional data of farming sector for 2016 presented by the ministry of agriculture and farmers welfare in the Lok Sabha mentioned that out of the 1,321 suicides in 2016, 722 deaths were of agricultural labourers and 599 were of cultivators. While the figures were released by the Union government, Chief Minister Shivraj Singh Chouhan declared in a meeting of BJP MLAs that he will take out a statewide Kisan Samman Yatra (Farmers Pride Yatra) from April 1. The MLAs were asked to tell the public about the good works of the government for farmers. The state has been the epicentre of the agrarian crisis last year, when it saw massive protests in Mandsaur leading to police firing, which led to the death of six farmers. With reference to data for 2016, Maharashtra ranks first in farmer suicides with 3,661 cases and Karnataka is second with 2,079 cases.